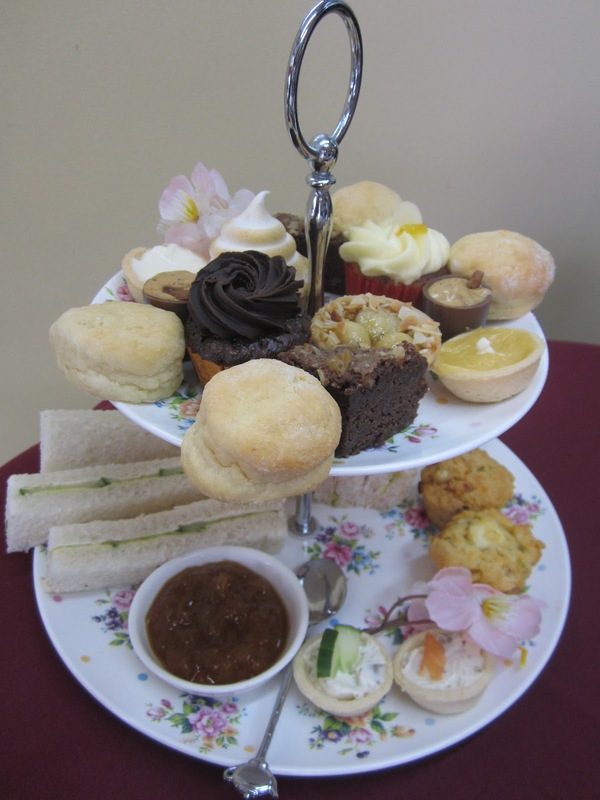 Today I got to indulge myself with high tea with an old friend. 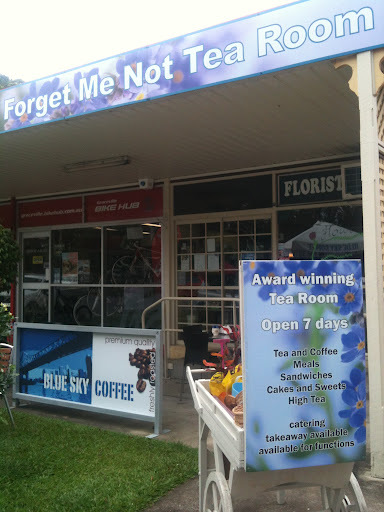 While looking online for a place that I hadn’t been to before, I found Forget Me Not Tea Room at Graceville. It is located in Honour Avenue, next to Regal Cinema, and just across the road from the railroad. 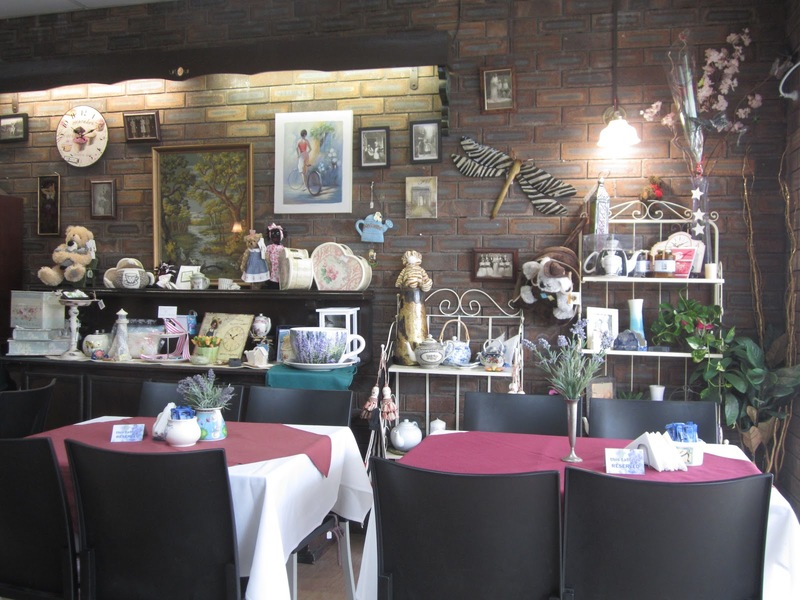 It is quaint little tea room that also sells unique home ware gifts and flowers. The range of quirky looking teapots caught my eye and I’ve made a mental note to return to this shop when I am ready to get a new teapot. 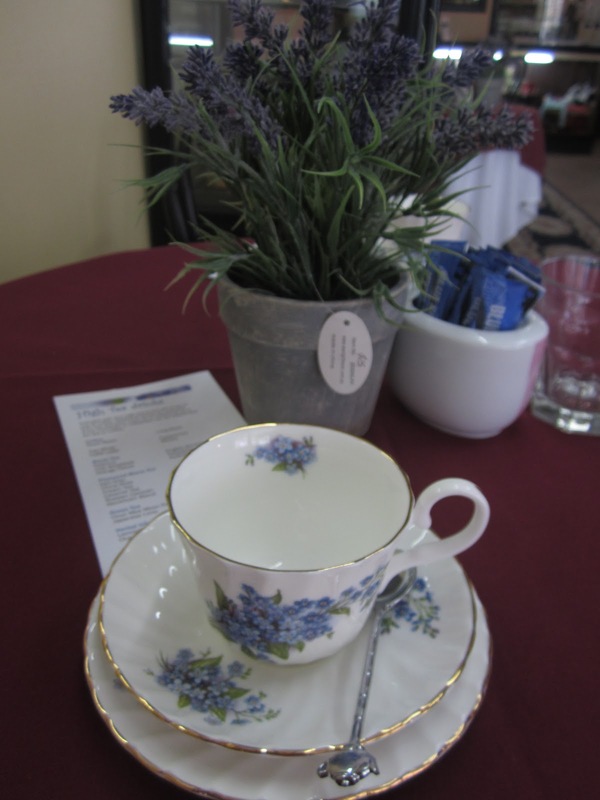 A pot of tea or a cup of coffee was included in the $35 price. There was also a non-caffeine option of hot chocolate or milkshake. When the waitress brought the food displayed on the two-tier stand to our table, we were questioning in our minds the number of serves represented on the tier. It did not seem like a lot of food and some of the sweets only came in one serving instead of two. Our slight disappointment was replaced by enjoyment when we started eating. The savoury muffin was soft with a crunchy top. 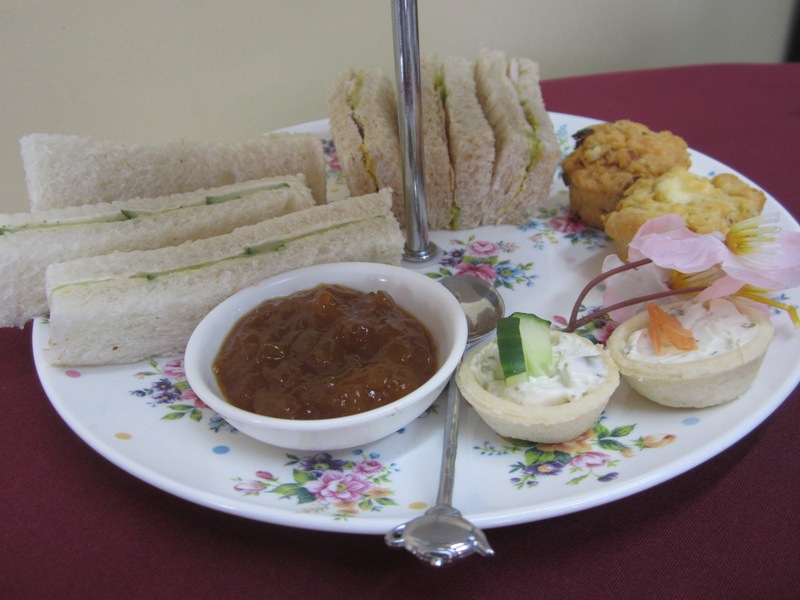 It was well complemented by the chutney. The pastry on the savoury cups was short and I really enjoyed it. The sandwich just plain compared to the other savouries, but we were not complaining. Moving on to the scones, the light texture went very well with cream and jam. 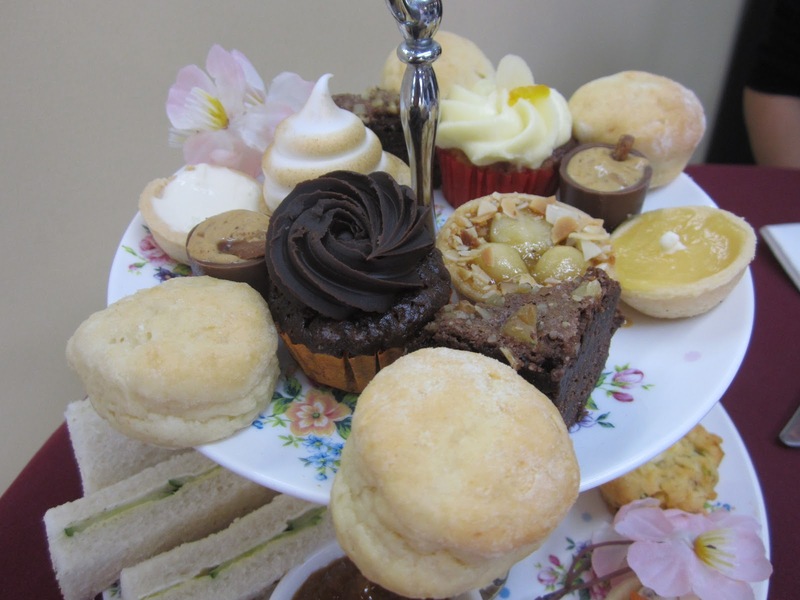 As for sweets, the tartlets were my favourites. I loved the short and crumbly pastry on the all the tartlets. The coffee mousse chocolate cup was impressive too, with an interesting coffee flavour minus the bitter taste. Both chocolate cupcake and carrot cupcake were rich and moist. Overall, everything was delicious and fresh. 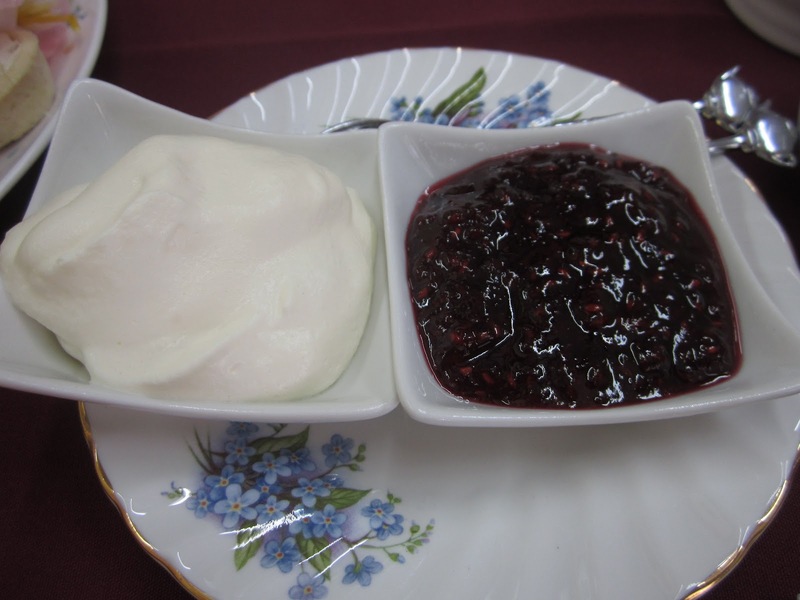 I enjoyed it so much that I can still picture the food now while writing this blog.